The International Blue Cross is a worldwide health development organisation dedicated to caring for people harmed by alcohol and/or illicit drugs. Blue Cross Lesotho takes a brad approach in their treatment programme, in order to improve the quality. “We can’t just treat the addiction problem, without looking at the whole person’s life, including notions of masculinity”. A husband who beats the wife, neglects the children and uses the family’s limited finances to buy alcohol. 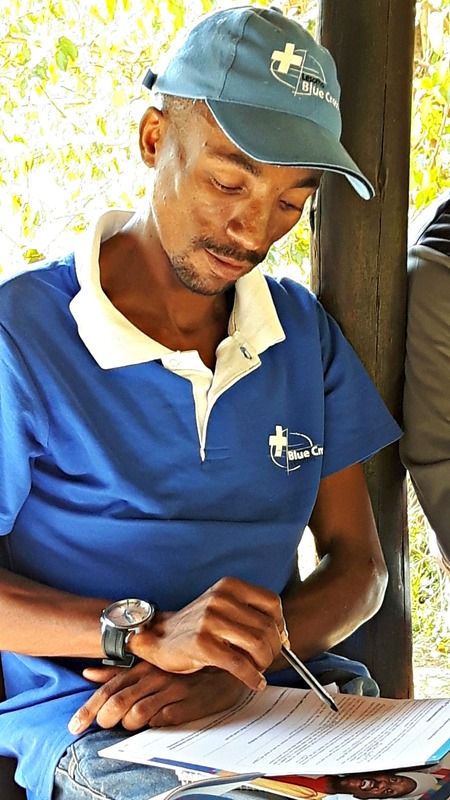 It might seem like a stereotype image, but it is the reality among many of the clients at Blue Cross Lesotho’s treatment center. “We can’t just treat the addiction problem, without looking at the whole person’s life. The addiction comes from somewhere, it affects other parts of the life than the body, and we need to address it. An important part of this is the notion of masculinity, what is expected and accepted from a man? And how is alcohol related to this? Discussing this is part of providing quality treatment”, states the center’s director Lineo Mokotjo. Blue Cross Norway and Blue Cross Lesotho have a partnership where one of the aims is to increase capacity and quality of substance abuse treatment in Lesotho. Alcohol addiction is not just an individual problem, but related to the context and the relationships around the person. Both the harms it causes to others, and the treatment process, needs to be addressed through several dimensions. The notion of masculinity, how men are expected to behave, what is accepted behavior and how these affect others are important questions to raise and include also in a treatment context. 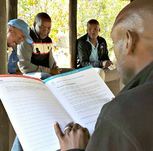 Through two periods the past year, Sven Figenschou, an experienced family therapist from Blue Cross Norway has provided trainings for treatment counsellors in Lesotho. The family perspective in treatment has been a main focus for the trainings. “Your children are affected by your drinking long before your liver is”, Frid Hansen, another therapist from Blue Cross has stated. In Lesotho, as most places in the world, men drink more than women. Lesotho also rank high on listings of domestic violence, gender based violence and sexual violence. This is all connected to cultural perceptions of masculinity, and acceptance of anti- social behavior. On a structural level, many Basotho men live away from the family, working in South African mines or other industries, which also affect their role in the family and society. During the training Blue Cross has used the material “Masculinity in a Bottle”, made by FORUT, as a discussion tool to address issues related specifically to masculinity. The topic was highly engaging, as the cases and topics discussed were very recognizable compared to the experiences the therapists see in their daily work. Husbands beating the wife, neglecting children and spending the family’s very limited financial recourses on alcohol are not uncommon cases among their clients. What happens between wife and husband is mostly seen as private and not to be interfered with. During the training the therapists were given several different tools on how to include the client’s relationships to others in the treatment process, both by directly including family members in therapy sessions, and through more indirect discussions. 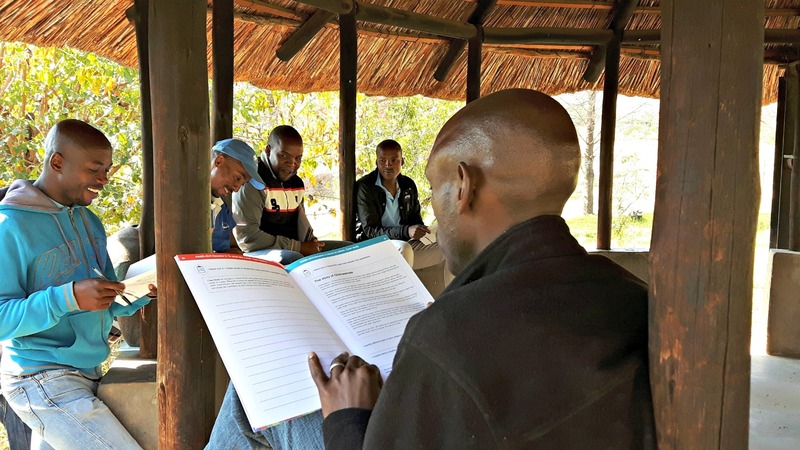 The “Masculinity in a Bottle” material provide tools that will guide discussions both in group therapy for clients, and groups they run in the prisons in Lesotho, as well as for youth groups as a prevention tool.